For some time I've been reading texts on the history of Slackware, Linux, UNIX, etc. It all started with this old Slackware version I found and my quest to get this (and several older) versions working in a Virtual Machine on my modern desktop. I've been using virtualization and emulation for several years, both professionally and for fun. Searching for even older versions of Slackware and Linux, I found several articles about the history of Slackware, Linux, GNU, Minix, Unix and so forth and started to collect links and making notes to read more. This collection of notes just continued growing and growing, as part of this history has parallels with my own history in computing. So I decided to write a series of posts about all this, trying to organize my notes in a chronological way. I have no idea how many chapters / parts / posts there will be, as I am still organizing things. Nor do I know how long it will take to finish. It is all really ad-hoc writing. Talking about all this with my wife she said it might even become a book. Well, she's the one with a talent for writing, but hey, who knows. I already planted a tree and have a son (a daughter as well). But all I wrote until now are software manuals, and I am afraid that doesn't count. I have no idea if José Martí really ever wrote or said this. I also heard people quoting Ernest Hemingway saying this, but he lived in Cuba for a while, so he might have picked it up there. 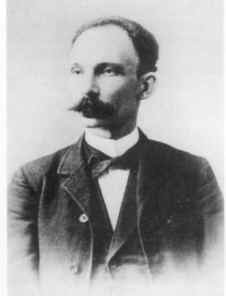 (*) José Martí (José Julián Martí Pérez) was a Cuban journalist / diplomat who fought for the independence of Cuba and is considered a national hero there. When I visited Cuba in 1986 I noticed how people still like him. I can't wait to read the next part!